Ebony Springs Tea Urchins. 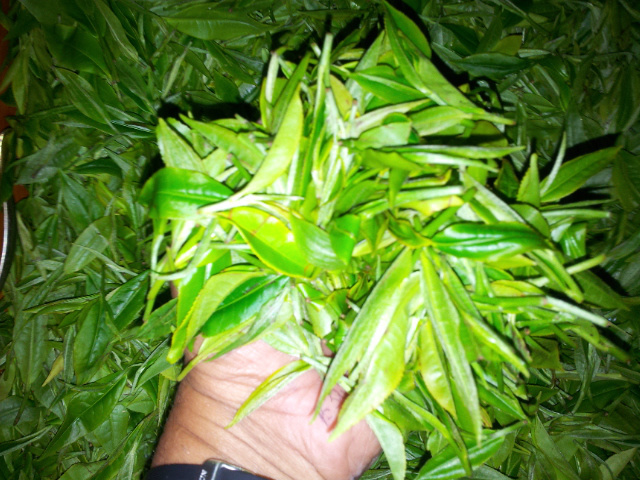 A hand crafted White Tea, using twenty four tender tea shoots from the T R I 2043 tea bush. 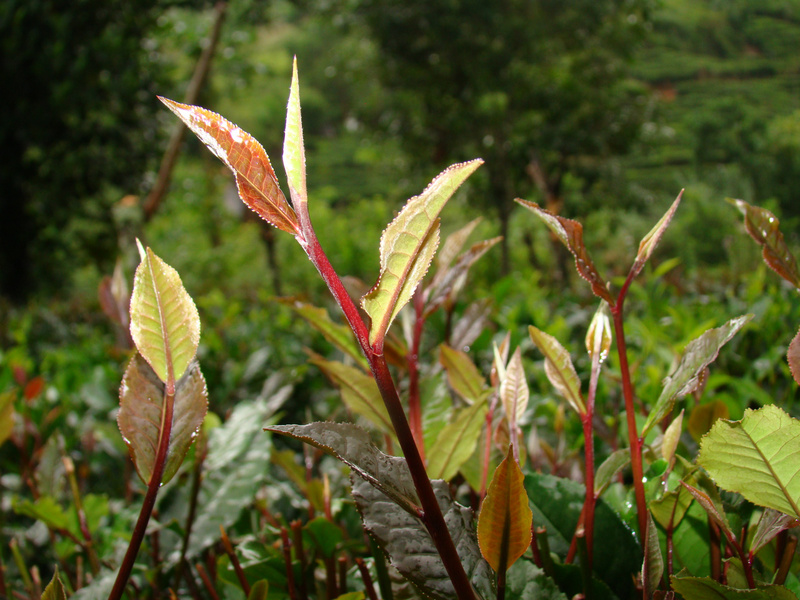 Tender tea shoots of the silver tea bush. 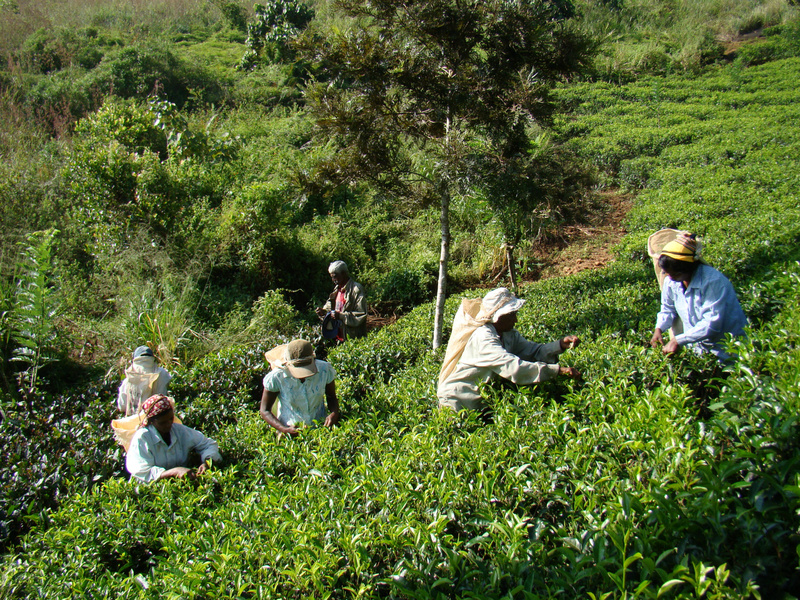 Harvesting tea at Ebony Springs. 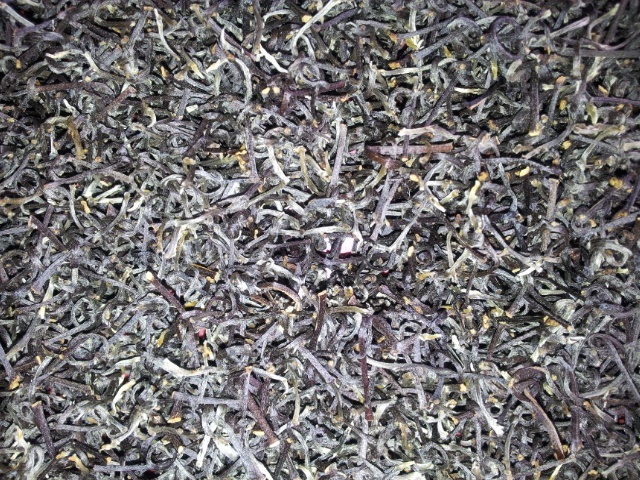 Sterling Silver Stem Tea. 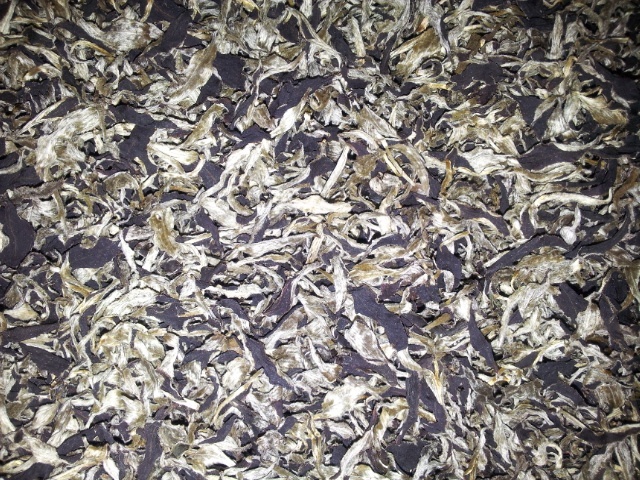 This tea is made from over 100000 individually picked particles of the silvery stem of the White Tea bush. 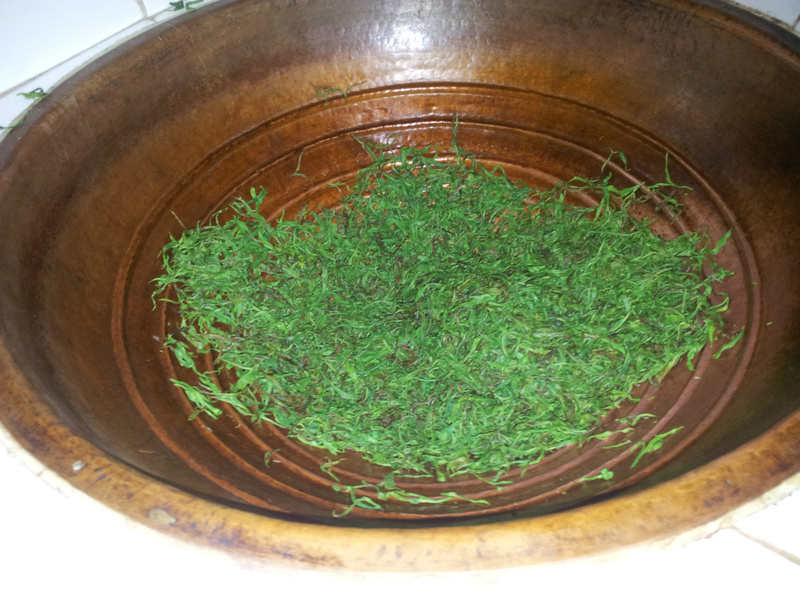 The liquor is a very pale green colour with a delicate flavour. These rings are hand crafted using silver tip from the T R I 2043 clone. 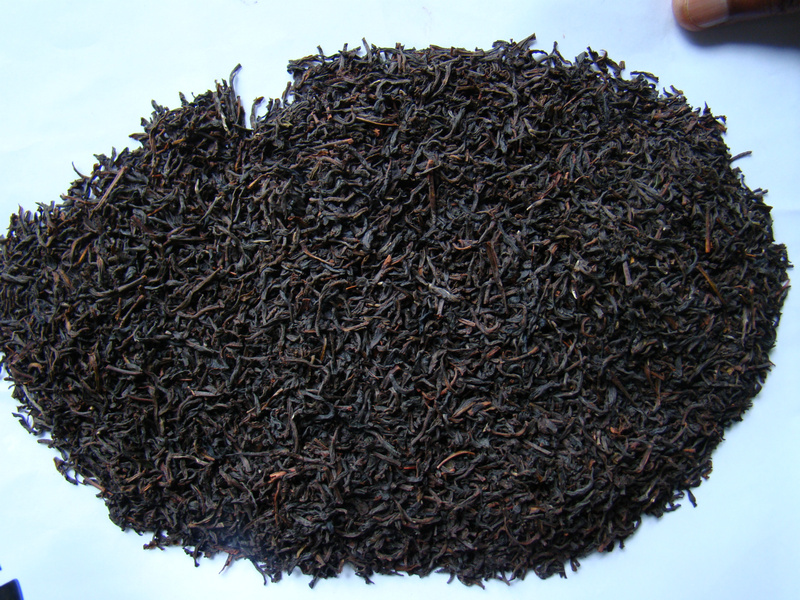 Very high quality single clone leaf used in making Ebony Springs, Specialty teas. 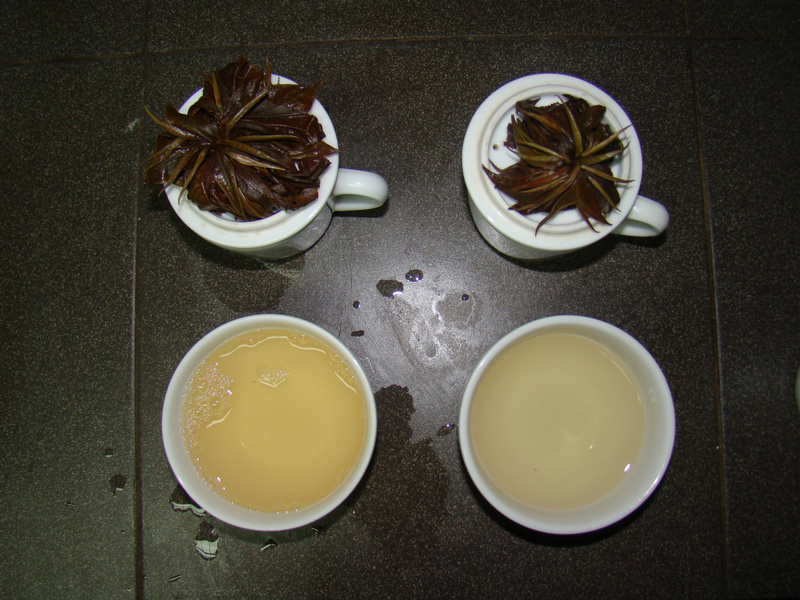 Very special silver tea shoots used in making Tea Urchins, Silver Rings, Silver stem Tea and White Peony. 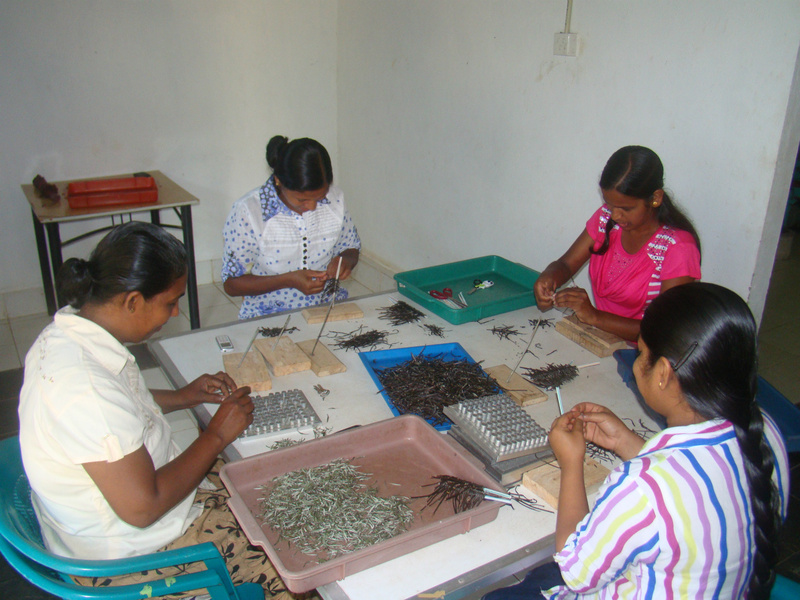 Wok rolling tea at Ebony Springs Mini Tea Processing plant. Hand rolled single clone FOP Ex. Special. 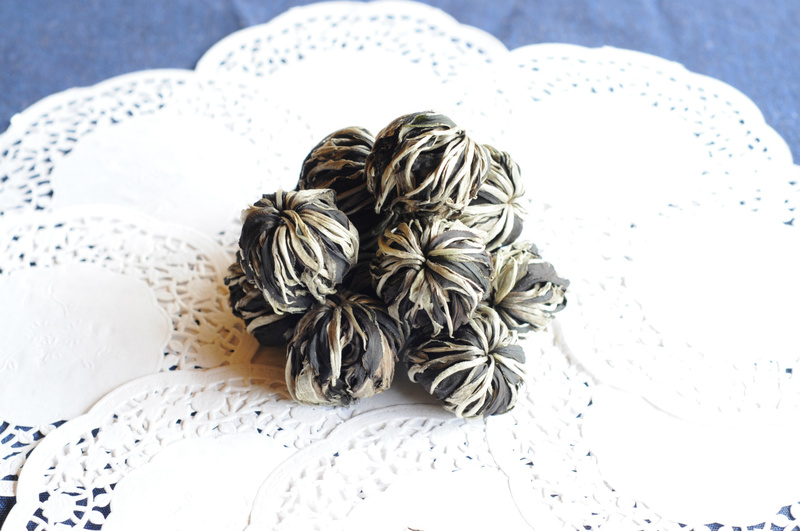 Knotted Tea. 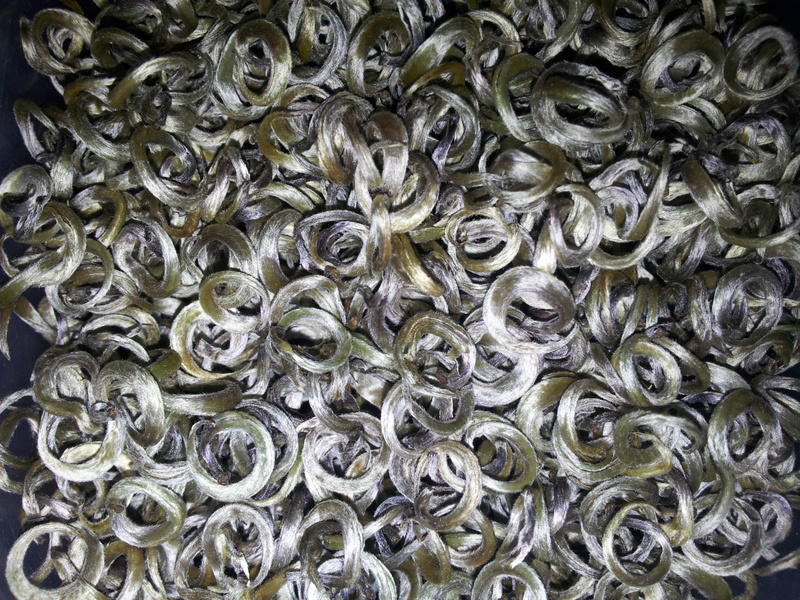 This is a hand tied knot using very tender silvery stems of the T R I 2043 clone. 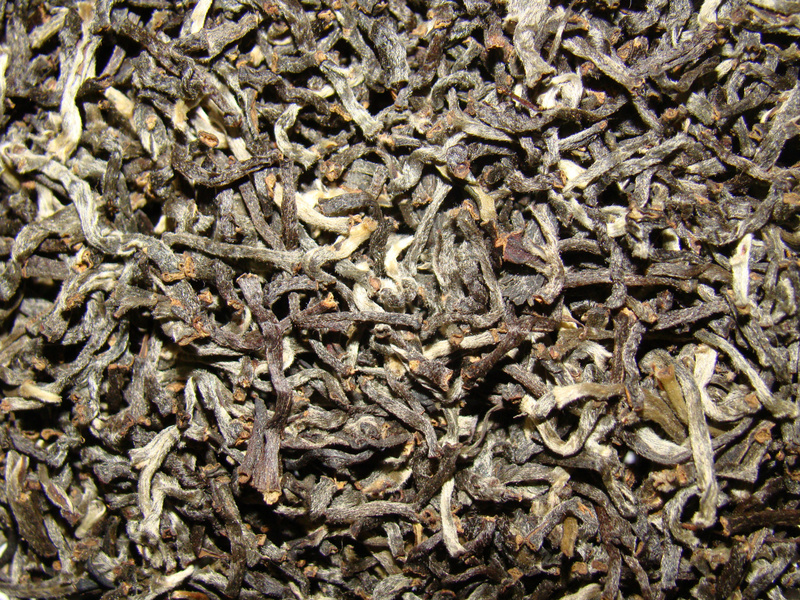 Note the silver highlights of the stems of the white tea shoots. 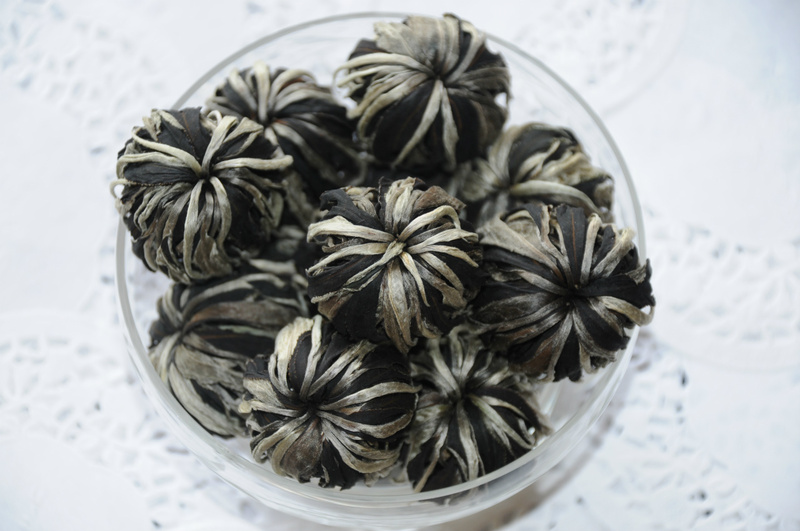 White Peony, a white tea made from the uppermost silvery leaf of the white tea bush. 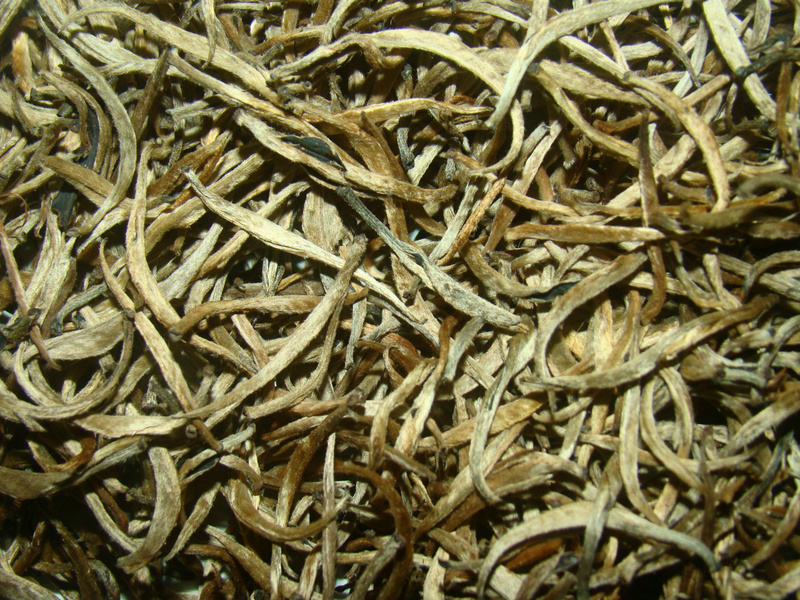 The leaves are withered and dried without any processing. 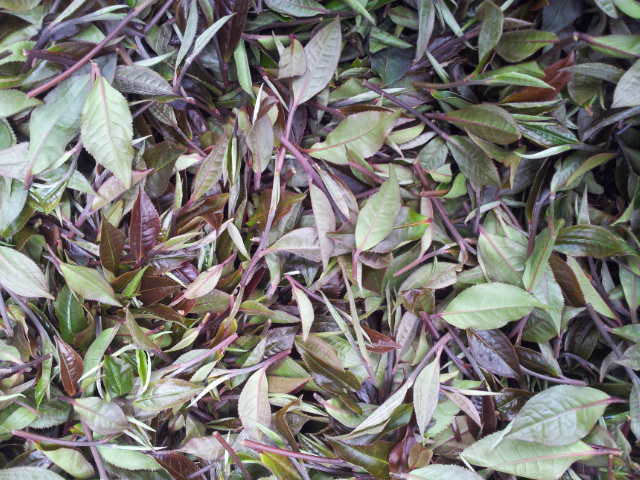 Specialty designer Teas, all made from the tender shoots of the white tea bush(T R I 2043 Clone).